Learn how to update Dell inspiron 6400 drivers for Windows XP.Download Dell inspiron 6400 drivers for Windows XP operation system .Install Dell inspiron 6400 Windows XP drivers in your Windows XP now free. > Processor : Intel Core Duo T2400 / 5 Mb Cache / 1.83 GHz / 667 MHZ FSB . > Memory Installed : 1 Gb DDR2 SDRAM / 553 MHZ. > Graphics Card : 256 Mb ATI Mobility Radeon X1400 Hyper memory . > HDD : 120 Gb 5400 rpm Sata . >Battery : 9 – Cell Battery . > OS : Windows XP Media Center . 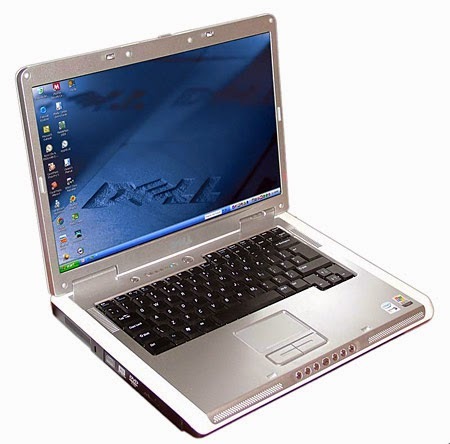 Here is the original drivers download links of Dell inspiron 6400 Drivers Windows XP drivers from the official website of Dell , just one click and download your desired driver .We want to make it easy and fast to update your Dell laptop drivers . SIGMATEL STAC 92XX C-Major HD Audio driver support Dell inspiron 6400 running the following Windows Operating system: Windows xp .The latest Audio driver version of SIGMATEL STAC 92XX C-Major HD Audio driver is Version 5.10.0.5515 . Intel Mobile Chipset Driver package support Inspiron, XPS Notebook, Vostro Notebook, Precision, Latitude and Dimension models for Windows XP operating System .The latest version of Intel Mobile Chipset Driver is Version 7.2.2.1006 . Ricoh Memory Card Drivers package support Dell Inspiron 6400 for Windows XP operating System .The latest update of Ricoh Memory Card Drivers is Version 1.0.1 . Intel 945GM Graphics Controller Driver Package support dell inspiron 6400 for Windows XP .The latest version of Intel 945GM Graphics Controller Driver is Version 6.14.10.4814. ATI Radeon Mobility X1400, Radeon Mobility X1300 Driver Package support dell inspiron 6400 for Windows XP .The latest version of ATI Radeon Mobility X1400, Radeon Mobility X1300 Driver is Version 8.261. NVidia GeForce Go 7400, GeForce Go 7300 Driver Package support Dell Optiplex 380/760/780/960/XE for Windows XP .The latest version of nVidia GeForce Go 7400, GeForce Go 7300 driver is Version 6.14.10.8469. Dell Wireless 355 Bluetooth Module support Dell Inspiron 6400 using Windows XP.The latest version of Dell Wireless 355 Bluetooth Module Driver is Version 5.0.1.2609 . Dell Wireless 1370/1470/1390/1490/1505/1395 WLAN Driver support OptiPlex, Inspiron, XPS Desktop, Vostro, Precision, Latitude and Dimension models using Windows XP .The latest version of Dell Wireless 1370/1470/1390/1490/1505/1395 WLAN Driver is 4.170.25.12 . Broadcom 440x 10/100 Integrated Controller driver Support Dell inspiron 6400 using Windows XP .The latest version of Broadcom 440x 10/100 Integrated Controller Driver is v10.0.7c. Dell Inspiron 6400/E1505 System BIOS update support Dell inspiron 6400 running Window XP and Dos .Dell Inspiron 6400/E1505 System BIOS update latest version is A17 . This is the Basic drivers for Dell inspiron 6400 drivers for windows XP operating system .For more drivers please visit the official website of dell support from here " Dell inspiron 6400 drivers " .